Kleinburg Diaries: 2017: We are having a baby!!!! I don't think it is too late,... so: Happy New Year! I know it's been a long time and I have no excuses for you. I was considering to stop with this blog if I can call it like that. Another year has ended and I can say that 2016 was a year of changes, surprises, ..., it was a year of emotions. Talking about the house, we didn't finish or started any new project, although ideas were not an issue, we had a busy summer! We got the high chairs for the breakfast bar and the pendant lights (I will post pics in a near future). But the most important thing that happened in 2016 is: our family is growing. Nope, it is not another dog. We are having a baby!!! We are really excited with what 2017 will bring us. We still don't know if it is a boy or a girl, but according to our last doctor's appointment baby is developing really well and that's what matters, right?! We have been visiting baby stores, not to mention searching for tips and advices from friends. It is overwhelming, but we are enjoying the whole process. We are reading books recommended by my friend that lives in NY and just had her second baby. Have you guys seen how many cute stuff there are for babies?????? For now, we decided that the nursery furniture will be white (crib, dresser/changing table, rocking/gliding chair) and the decoration will be according to the gender. Pinterest has been of great help for ideas. 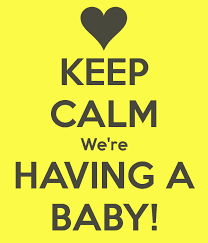 We already purchased the stroller, baby monitor and a few clothes - gender neutral. Advices are welcome! Please don't hesitate to leave your comment here! Next post I will show the things that we already have for the baby.